He already has two gold medals from the 2008 and 2012 Olympics. 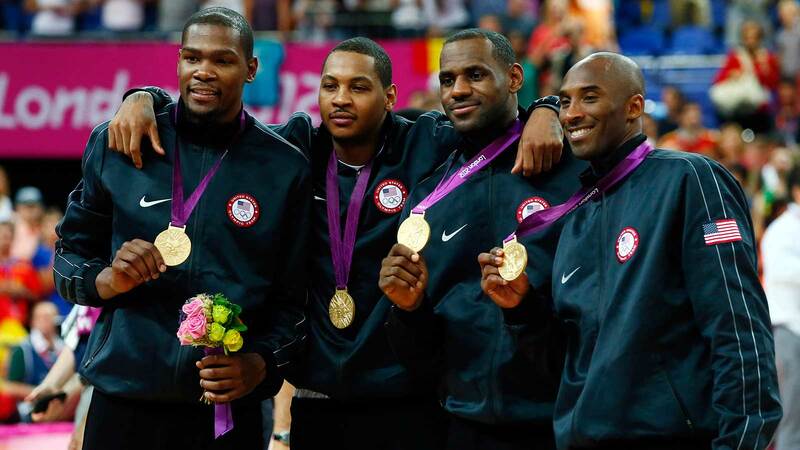 But according to Team USA Chairman Jerry Colangelo, Los Angeles Lakers superstar Kobe Bryant wants one more for the road — if he can earn a spot on the 2016 Olympic roster. According to Dave McMenamin of ESPN.com, Bryant told Colangelo that he wants to "ride out to the sunset" with a gold in the Rio games, but he doesn't want just to be handed a spot. Bryant wants to earn his place on Team USA. Earlier in the week, Colangelo said that he hadn't ruled out including Bryant on the final 12-man roster, but he'd have to see how 2015-16 played out. Bryant has averaged 13.6 points, 2.3 rebounds, 1.3 assists and 1.1 steals in 16 games in his Olympic career. No American men's basketball player has won three Olympic golds; eight American women have accomplished the feat, with Lisa Leslie owning four golds.